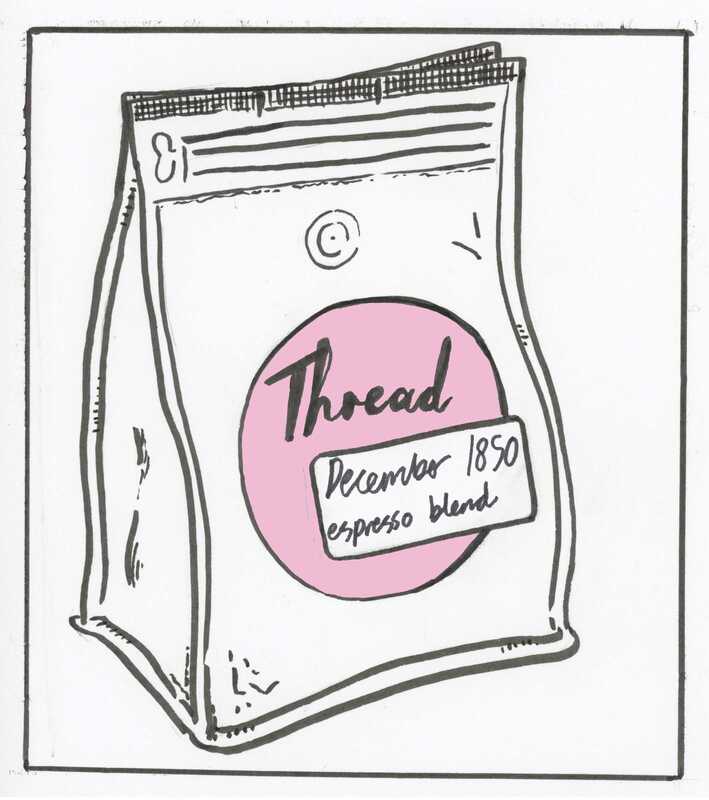 Thread December 1850 Espresso Thread's very first espresso blend! Notes of burnt sugar, stone-fruit, and orange peel with a syrupy body. In December of 1850, Harriet Tubman, an escaped slave from Dorchester County, Maryland made her first attempt at freeing enslaved blacks in the South. Tubman safely transported her family from Maryland to Pennsylvania. They moved by way of the Chesapeake River then by land. She returned to the South time and time again, risking her own freedom, to free others. We've named this blend of Organic & Fair Trade coffees in honor of her work. Notes of burnt sugar, stone-fruit, and orange peel with a syrupy body. An espresso to keep you going on a long night. Use coupon code 'InStorePickUp' to skip the shipping and pick up at the roastery.